Very short takes this week. Look back over the course of the week for more posts on various things. 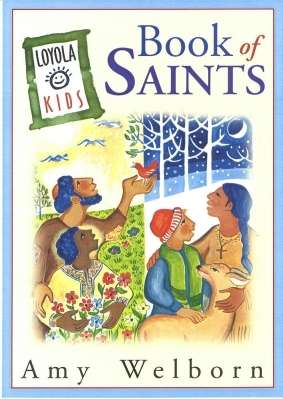 Remember – if you’re thinking a lot about saints this week – as you might be – consider looking at my saints books, listed here. 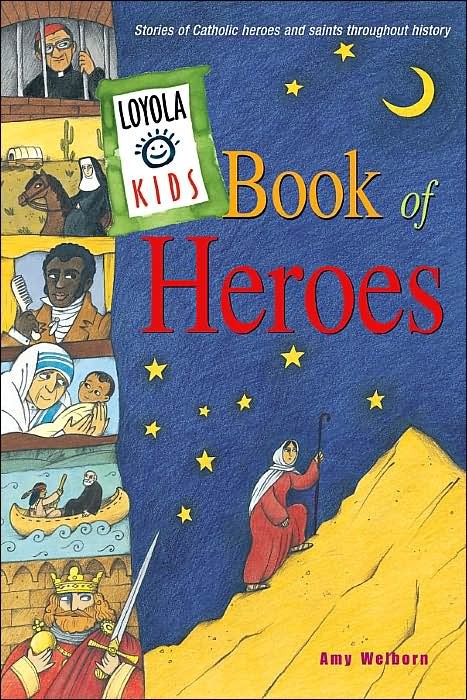 I don’t have many of those on hand here, but what I do have are loads of copies of the Bible Stories book and the Signs and Symbols book – as well as the Book of Days. If you’re starting to think Christmas gifts….check it out. I still have time to write. The same hours I had set aside when I was working my old side gig are as available now as they were before. I also find the creative juices get flowing during moments of solitude at work. I once experienced a wonderful creative rush while driving a truck through a mountain pass and had to immediately pull over and jot some sketches down. Many people say that the hours in the trades are long, and they sometimes are. But one of the benefits is that when I hang up my hard hat, I hang up the stress of my job with it. My work doesn’t follow me home. Instead, I go to choir practice, I open up a copy of The Well Tempered Clavier, I get out a pencil and some manuscript paper and dash some squiggles that will hopefully one day become something memorable. Initially, I might have been resistant to heading into the trades because I was worried I would be giving up on music and my composition career would end with a resounding thud of failure. I was wrong. The only way you fail at art is if you stop doing it. There’s no reason a composer can’t be a plumber or an electrician instead of a teacher. All you have to do is keep writing. John Taylor Gatto passed away this week. He was an essential critic of American education and an inspiration for many educational reformers, including those in homeschooling/unschooling. All of sudden this week, everyone was an expert on the 14th amendment! Well, the good thing is that at least a lot of people got interested in learning more about the issue of birthright citizenship. If you want a balanced look at the issue, I can’t think of a better place than this lengthy article. The existing rule of unrestricted birthright citizenship has a number of advantages, as noted above. But it also opens the door to some practices (perhaps most notably, the various forms of “birth tourism”) that provocatively violate the consent principle at the heart of democratic government, as well as create perverse incentives for illegal entrants and overstays. Reasonable people can differ about what the qualifying periods of residence and education should be, whether those periods must be continuous, and other conditions. (Australia’s 2007 citizenship law, for example, abolished birthright citizenship while creating an exception for a person “ordinarily resident in Australia throughout the period of 10 years” beginning at birth.) In Schuck’s view, completion of eighth grade should suffice for this limited purpose. Certifying compliance should be administratively simple. And during the interim period, the individual should have the legal status of presumptive citizen, with all of the attributes of citizenship for individuals of their age. The parents’ status would remain the same as under current law unless they can gain legal status through an expanded legalization program or otherwise. One can easily imagine objections to this reform, especially by those who categorically reject birthright citizenship for this group on grounds discussed above. But two answers to such objections are compelling in our view. First, whether Americans like it or not, these children are now legal citizens at birth. The question, then, is whether an over-inclusive status quo should be retained. Second, the normative objections to their citizenship — that their connection to our country is imposed without our consent and is often adventitious, transient, and insubstantial — would be met by the proposed reform, whose enactment would provide the requisite consent to, and conditions for, their citizenship. To be sure, the current climate presents the danger that political deliberations over any changes to current birthright-citizenship practices might lead to policies of heightened deportations of otherwise-law-abiding long-term residents, and of reduced legal immigration. We oppose both of these policies. But because controversies over immigration and birthright citizenship have only grown in recent decades and are likely to intensify further, we believe that the quest to find reasonable, humane compromises on these vital topics is more urgent than ever. And what about that stupid “youth” Synod? Yeah, that. A couple of good (if by “good” you mean…”I agree with them” – but isn’t that always the way it is?) pieces that summarize what happened and what might happen and what It Means. Did you sense that people who were advocating more tradition and orthodoxy, like the Africans, were shut down, perhaps? No, I don’t think it was just the more traditionally minded who were shut down: We all were. The fact was that after our initial short speeches, it was almost impossible for bishops to get a hearing again in the general assembly. Even in the free discussions? The free discussions were very few, usually in the last hour of a very long day. On at least one occasion, that time was taken up almost completely by speeches from ecumenical representatives. On other days, various announcements intruded. And when free discussion did happen, only cardinals and youth auditors were heard; no bishops at all. You got your little speech at the start, and that was about it, when it came to the general assembly. In fairness to Francis, he’s been clear and fairly consistent with regard to himself and his habits and his tastes, right from the start. From his shoes (he has a guy back in B’Aires) to his decision to live in the Domus Sanctae Marthae (he likes being around people) to his habit of standing in the lunch line and chatting with people (he likes it that way), he’s been frank: he’s an old dog, unable and uninterested in learning new tricks — and as a leader, his established mode of leadership is a mercurial one that flies from extreme micromanagement to extreme laissez faire and rarely pauses anywhere in between. His lieutenants and mouthpieces, however, promised an almost Aquarian age of transparency, listening, and participation: in a word, that the governance of the Church would finally be horizontal. 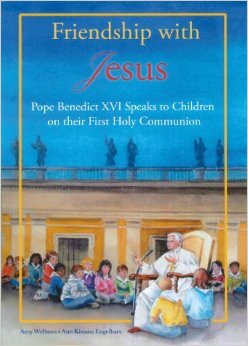 If the new document makes anything clear, it is that Francis — whose “synodal” approach to governance has been the subject of much discussion — meant what he said when he told the participants in the III Extraordinary General Assembly of the Synod of Bishops that “synodality” means being with Peter, and that “being with Peter” means being under him. How “synodal” is the Church Francis envisions? One short answer might be: as synodal as Peter says it is. So, there has been transparency. At any rate, folks have what they were promised. Assured they’d be able to take their place, the bishops have now learned what that place is, and been instructed to assume the position. The vast majority of the laity don’t care much what the Church’s hierarchical leadership have to say about young people anyway, certainly not in the present circumstances of massive and daily burgeoning global crisis that has left the credibility of the worldwide episcopate in tatters, from the Pope down to the last auxiliary. When it comes to “synodality”, not even the professional Catholic scribbling and chattering class could manage more than perfunctory frustration on behalf of the bishops, who were happy to roll over. None of this contributes to comity or collegiality; and whatever “synodality” means, it isn’t advanced by such boorish behavior. The cardinal’s aggressive stubbornness is also an insult to bishops who are every bit as much successors of the apostles as Baldisseri, but whom he nonetheless treats as if they were refractory kindergarteners, especially when they insist that they know their situations better than Baldisseri does (as on the abuse crisis). If Pope Francis is serious about making the Synod of Bishops work better, he will thank Lorenzo Baldisseri for his services and bring in a new general secretary—right away. The Synod process seems designed to wear everyone down, thus making it easier for the Synod’s mandarins to get their way. So it’s not surprising that there’s a sense of deflation at the end of Synod-2018. There are also more than a few worries about how the Church is going to weather the rough seas into which it is being steered. Still, there was some very good work done here this past month. New networks of conversation and collaboration were built. Nothing completely egregious got into the Final Report, thanks to some hard and effective work. New Catholic leaders emerged on the world stage. And there were, as always, many experiences of fellowship, and the grace that flows from the Holy Spirit through solidarity in a great cause. In that sense I’ve been glad to have been here. And like others, I suspect, I’m grateful that Synod-2018 has given me a clearer understanding that business-as-usual is not an adequate model for the next months and years of Catholic life. Secondly, the association of the breaking through of the Holy Ghost with coldness. A chill. An enduring chill. There are a number of ways to look at it, since the “chill” is of course a reference to fever, but this morning I couldn’t stop thinking about Flannery’s continual argument against the modern expectation that “faith” is what brings us contentment and satisfaction. In the Gospel today, Jesus says Peace be with You. But that’s after the crucifixion, you know. Also on Asbury’s mind- primary, really – was his mother. How he blamed her for his own failure as a would-be artist, and how what he wanted to do most of all was make her see this. To give her an enduring chill that would be the result of her awareness of what she had done to him. He would hurt her, but that was just too bad. It was what was necessary, he determined, to get her to see things as they really are. Irony, of course, comes to rest on him in the end as the Holy Ghost descends. 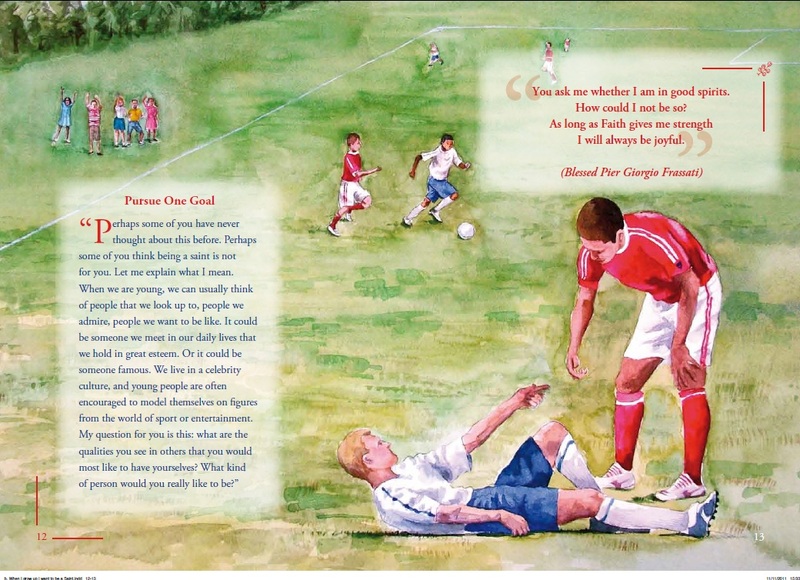 So I read and talked about this story about parents, children, disappointment, blame, pride and being humbled. Then I drove up to Knoxville, alone, thinking about Asbury, about that Holy Ghost, about peace be with you and doubt no longer. I drove up to see my father’s house for the last time and sign the papers so someone new could live there now. Sadness that my father died six months ago, that my mother died eleven years ago, that my husband died three years ago. Sadness for my dad’s widow. But then tempered, as I stood there and surveyed the surrounding houses and realized that almost every person who lived in those houses when we first moved in, is also dead. Remembering that forty years ago, my parents were exactly where I am now, watching the preceding generation begin to die off, absorbing their possessions, making sense of what they’d inherited – in every sense – and contemplating where to go from there. There’s nothing unique about it. It’s called being human. Not existing for a very long time, being alive for a few minutes, and then being dead for another very long time. There is a priest in the story, the priest who brings the family (the Guizacs) to the farm, and then continues to visit Mrs. McIntyre. He is old and Irish, listens to Mrs. McIntyre’s complaints about her workers and the difficulties of her life with a nod and a raised eyebrow and then continues to talk to her about the teachings of the Church. And at the end, as Mrs. McIntyre watches the black figure of the priest bend over a dead man ” slipping something into the crushed man’s mouth…” we see why he spoke of it that way. It did happen yesterday in town. It happens today. You must be born again…. And here is the “irony.” Although steeped in Catholic faith and sensibilities, we know it is not ironic – but to the world’s eyes, it is. That the priest who expresses the mysteries in such matter-of-fact, “formulaic” ways, ways which even theologians today fret are not nuanced or postmodern enough, which they would like to dispense with in favor of…what, I am not sure, unless it is one more set of windy journal articles…this priest is, as I said, the only character who can recognize beauty and the transcendent reflected there. And the one who embodies Mercy. Flannery O’Connor always said that she found the doctrines of the Church freeing – and this is what she means. Not many people remembered to come out to the country to see her except the old priest. He came regularly once a week with a bag of breadcrumbs and, after he had fed these to the peacock, he would come in and sit by the side of her bed and explain the doctrines of the Church. This one on the collection of her book reviews for the Atlanta Archdiocesan paper. Most of what O’Connor reviewed was non-fiction, and she did not like most of the fiction she did review – J.F. Powers, Paul Horgan and Julien Green being the unsurprising exceptions in the otherwise flowerly garden of pietistic fiction she endured. The non-fiction choices are fascinating, although not a surprise to anyone familiar with the contents of O’Connor’s personal library and the scope of her reading we can discern from her letters. 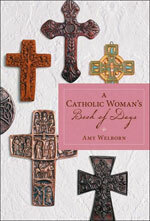 She was very concerned with the intellectual life of American Catholics and indeed saw what she was doing for the papers as in some way an act of charity in which readers might be encouraged to read beyond the pieties. She was especially interested in Scripture, dismayed that Catholics did not read more of it, and quite interested in the Old Testament, especially the prophets. Again, perhaps not a surprise? She was, as is well-known, quite interested in Teilhard de Chardin, and reviewed a few books by Karl Barth, as well. Robert Coles answered the question well when he wrote of O’Connor, “She is stalking pride.” For Flannery O’Connor, faith means essentially seeing the world as it is, which means through the Creator’s eyes. So lack of faith is a kind of blindness, and what brings on the refusal to embrace God’s vision — faith — is nothing but pride. O’Connor’s characters are all afflicted by pride: Intellectual sons and daughters who live to set the world, primarily their ignorant parents, aright; social workers who neglect their own children, self-satisfied unthinking “good people” who rest easily in their own arrogance; the fiercely independent who will not submit their wills to God or anyone else if it kills them. And sometimes, it does. The self-satisfied are attacked, those who fancy themselves as earthly saviors find themselves capable of great evil, intellectuals discover their ideas to be useless human constructs, and those bent on “freedom” find themselves left open to be controlled by evil. In 1951, after a literary critic detected a sense of spiritual “nothingness” in his poetry, Stevens wrote Sister Bernetta with a clarification: “I am not an atheist although I do not believe to-day in the same God in whom I believed when I was a boy.” Considering the debate over Stevens’s deathbed conversion to Catholicism, his heartfelt letters to Sister Bernetta are tantalizing. What made the poet comfortable sending such honest thoughts from Hartford, Connecticut to Winona, Minnesota? 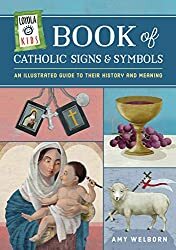 Yes, someone with considerably fewer gifts has just published a book – I wrote about The Loyola Kids Book of Signs and Symbols here. Today, of course, is her feastday. The salutation is followed by a brief statement of her purpose, which, by virtue of Catherine’s initial positioning of her words in the context of the life-giving blood of Jesus, bear special weight and authority: in his precious blood… desiring to see you a true servant….desiring to see you obedient daughters…desiring to see you burning and consumed in his blazing love…desiring to see you clothed in true and perfect humility…. In 2016, Siena was a part of our three weeks in Italy. It did not end up being the thoughtful pilgrimage day I had for years envisioned. We did not stay overnight there, but stopped for an afternoon on the way from our days in Sorano to Florence. And then it rained. Because of that, and because of restrictions on photography in many of the Catherine-related sites, my photos are limited…but here are some of them. 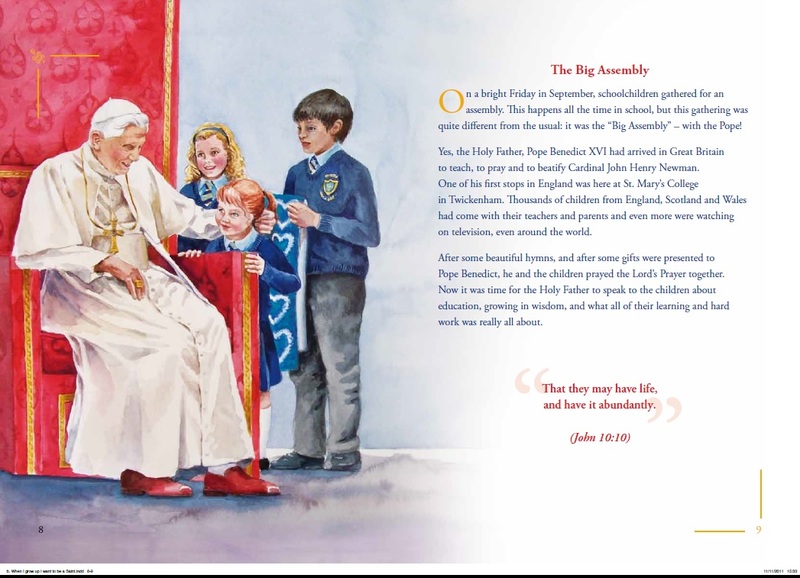 Oh, and of course, Catherine is also in the Loyola Kids Book of Saints. More on the book. 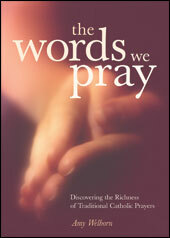 You can buy it online, of course, or at any Catholic bookseller – I hope. If they don’t have it, demand it! Look for a new title in this series coming this summer! Details – title and cover – should be available soon. Some you might have seen my earlier post about our Bishop Emeritus David Foley, who passed away Tuesday evening. Go there to read a bit of a personal reminiscence. 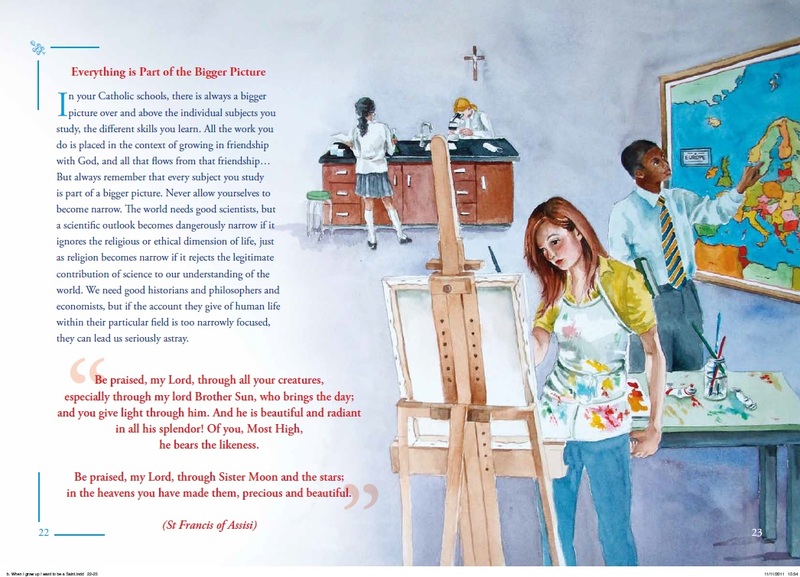 I’ll add a summary of a story told by our music director, who posted that a few months ago, he encountered Bishop Foley at the Cathedral, stocking up on his oils because he was headed to a prison to say Mass and celebrate some confirmations. At the age of 88. EWTN will be broadcasting both the Vespers and the Funeral Mass – Sunday night and Monday. Even if you don’t know anything about Bishop Foley – if you are in the least interested hearing some of the finest sacred music in any Catholic church in this country – tune in. Oh – I was in Living Faith on Sunday. Another one coming soon. My youngest takes organ lessons at the Cathedral, and during his lesson this week, a class of some sort – they looked to be either high school seniors or younger college students – filed in, sat, listened to a short presentation, and then scattered about the church, sitting with handouts, looking and writing. I never did find out where they were from or what their class was about, but just remember that the next time someone tries to tell you that there’s a conflict or dichotomy between taking care to construct beautiful and substantive churches and a “simple” – implication – better – faith. A beautiful church building is a witness to Christ in the midst of the city surrounding it. I will always, always remember St. Anselm because he was the first Christian philosopher/theologian I encountered in a serious way. As a Catholic high school student in the 70’s, of course we met no such personages – only the likes of Jonathan Livingston Seagull and Man of La Mancha. Anyway, upon entering the University of Tennessee, I claimed a major of Honors History and a minor of religious studies. (Instapundit’s dad, Dr. Charles Reynolds, was one of my professors). One of the classes was in medieval church history, and yup, we plunged into Anselm, and I was introduced to thinking about the one of whom no greater can be thought, although more of the focus was on his atonement theory. So Anselm and his tight logic always makes me sit up and take notice. If you want a good modern translation of Anselm’s Proslogion – I dug this one up. It’s a pdf. wearisome tasks. Make time for God, and rest a while in Him. the chamber door, seek Him out.